You will fire from here a dialog asking for your selection of an external datasource. We have chosen 'MS Access Database'. 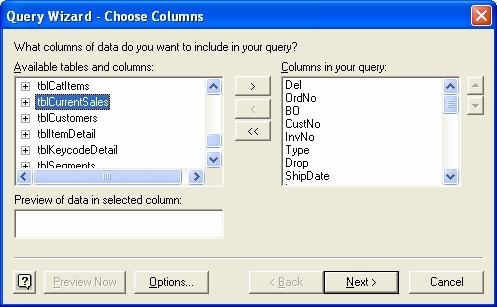 Navigate your way to your Access database and select the table or query you want from the list displayed and add the fields you require, as below. 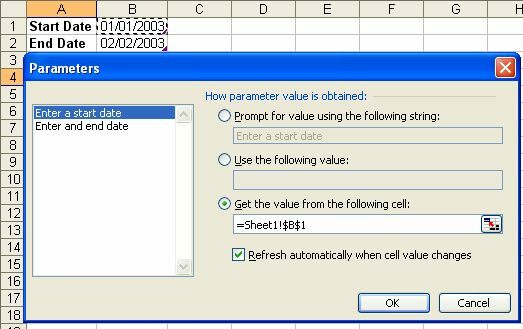 (Remember, if you have a parameter query in Access already, this will create an error if we try to use it in Excel. 'Too few parameters, expected 1') . Move on three screens making no changes until you arrive at the final screen (below). 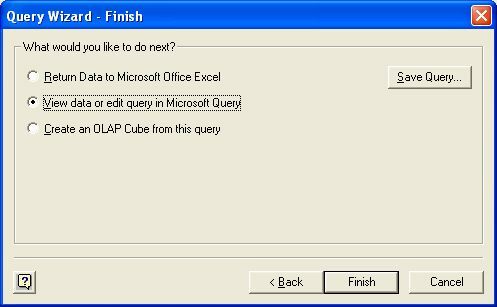 Take the second option to 'View data or edit query in Microsoft Query'. This will launch Microsoft Query. 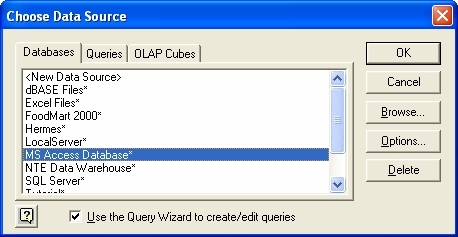 (For those familiar with Access, this looks very similar to the query designer). From the image below you can see we have shown the 'criteria grid' by selecting View>Criteria from the MS Query menus. 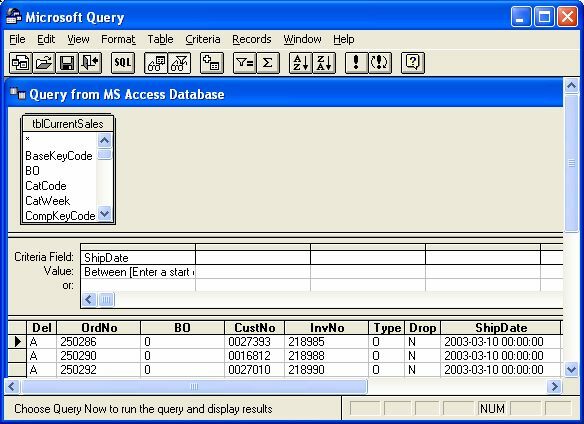 In our example we are going to take orders with a ship date between two dates, (01/01/2003 and 02/02/2003). To do this we enter the operator 'Between' followed by our first parameter. 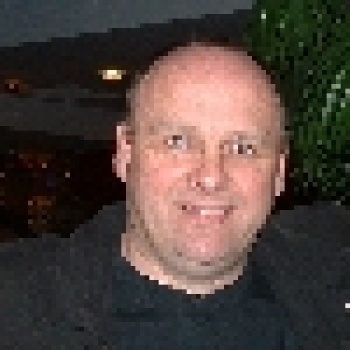 These are enclosed in square brackets and what is in here will, in certain circumstances, appear as the prompt in the input box, with the entry being the parameter. 'Between [Enter the start date]'. 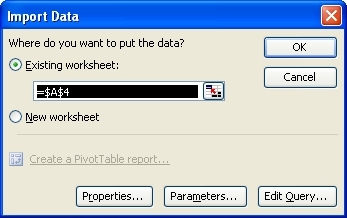 Click the 'parameters...' button to show the dialog below. You now have three choices. 1) Prompt for the values. (You can enter any prompt here). 2) Use the following value. (You can enter a static value). 3) Get the value from the following cell (Our example). 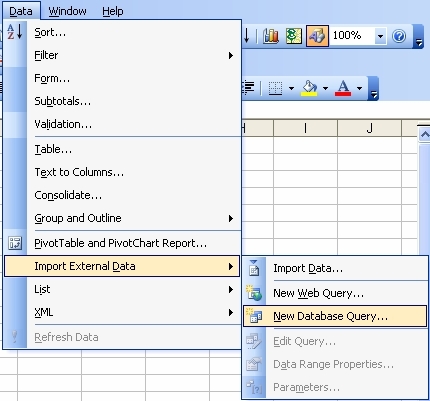 Click OK in the 'Parameters' dialog and select $A$4 as the cell for the start of the data, click 'OK' in the 'import data' dialog and your data should flow in filtered between the two dates supplied. Each time you change the dates, the query is refreshed with the new input.